The 2016 edition of the ITER Photobook has just been released─58 pages that cover progress in construction and manufacturing and some of the highlights in the life of the ITER Organization. Looking at the two previous editions (2014 and 2015) one can measure what has been accomplished over a period of three years ... from a mostly empty Tokamak Pit to a construction now emerging from ground level; from prototypes and mockups to actual machine components; and from the first test convoys to the regular delivery of heavy loads. 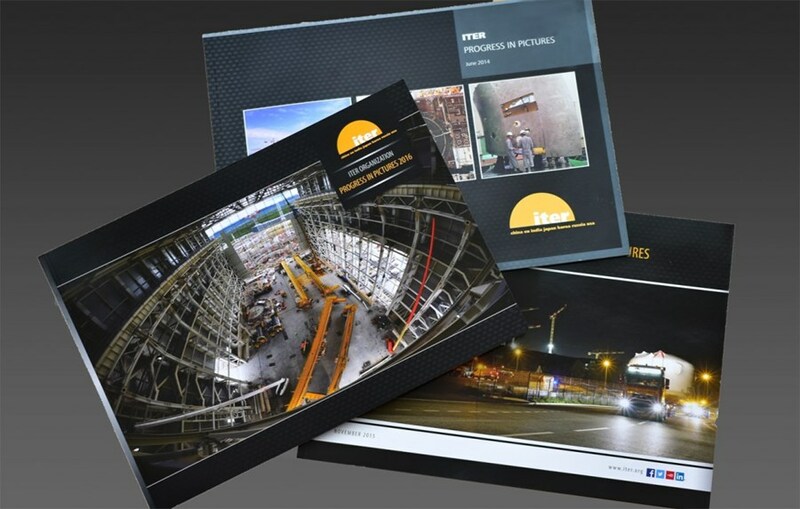 All of the ITER Photobooks can be downloaded from the Publication Centre of the ITER website ("Brochures") in pdf format.